As the population in both Oklahoma and the country ages, the medical profession continues to adjust to new demands on doctors and other health care providers. According to the American Geriatrics Society, the number of individuals over the age of 65 is expected to be almost 20 percent of the U.S. population by 2030. There are special medical considerations for older patients. As people age medical care from a range of different specialists can become necessary. Many elderly people have chronic illnesses to manage and a host of different drugs to remember to take. Commonplace, temporary conditions can also cause more serious complications in older, frail individuals. When these and other age-related considerations make medical care more complicated, the services of a geriatrician can be useful and necessary. “Geriatricians have received extensive training in caring for older adults so they are well prepared to provide care to older adults with multiple and complicated problems,” says Nancy Van Winkle, Ph.D., director of the Senior Mentor Program and co-coordinator of the Geriatric Focus Course at the Oklahoma State University College of Osteopathic Medicine. [pullquote]The most prominent reason [for low numbers of geriatricians] is poor reimbursement for care provided. If you take a fully trained internal medicine physician and send him for geriatric training, his income will drop dramatically.”[/pullquote]“A geriatrician can serve as a “quarterback” or “coach” to coordinate the increasing number of specialists many older adults need to have all their specific care needs met,” says Andrew Dentino, M.D., Medical Director at OU Medical Center Senior Health Clinic. 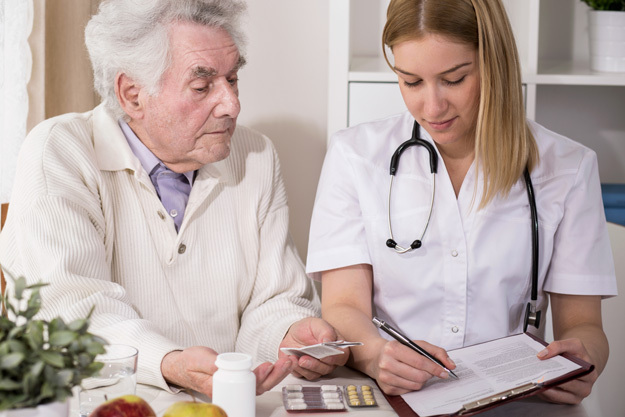 A medical professional certified in geriatrics can vastly improve the level of care received by older individuals and, consequently, improve their quality of life. But, according to the American Geriatrics Society, in 2013 the number of geriatricians needed to care for the 12 million elderly patients who could benefit from specialized geriatric care was short by more than 9,000 doctors. And this shortfall is projected to worsen. Geriatricians will be needed in numbers close to 30,000 by 2030. The need is even more prevalent in Oklahoma. The needed number of geriatricians in this state is 237, while in 2014 there were only 33 certified geriatricians. In Oklahoma, the anticipated need for specialists in the area of geriatrics is 325 by the year 2030. “The situation is dire. Not only do we have very few geriatricians trained, but the numbers are declining rapidly. [In Oklahoma] we have the fewest geriatricians per capita in the US,” says Dr. Germaine Odenheimer, geriatric medicine clerkship director with the Donald W. Reynolds Department of Geriatrics at the University of Oklahoma College of Medicine. But why is this the case? Why are geriatric specialists simultaneously in great demand and declining in numbers? The answers rest both within the economic realities of practicing medicine and the day-to-day challenges presented by treating older people. “The most prominent reason [for low numbers of geriatricians] is poor reimbursement for care provided. If you take a fully trained internal medicine physician and send him for geriatric training, his income will drop dramatically. Why? Because older people tend to have complex problems that require a great deal of time to work through,” says Dr. Odenheimer. She also points out the fact that many older people have chronic diseases that require a management approach, as opposed to a cure. “These patients are complex, which can intimidate young trainees who are quickly overwhelmed by all the medical problems and medications they would have to deal with,” she adds. However, work in geriatrics also comes with some pronounced positives. According to the Association of American Medical Colleges, geriatricians tend to rate higher than other specialties in career satisfaction. “One of the fascinating things is that when medical specialists have been surveyed, geriatricians are the most satisfied with their work,” says Dr. Odenheimer. “They deal with challenging and complex cases. 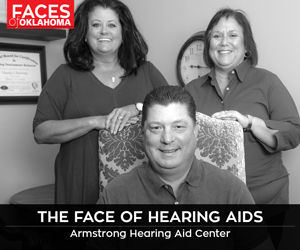 They are making a difference in the functioning and quality of life of older adults,” says Dr. Van Winkle.